Legend has it, from the Hindu epic – “The Ramayana” that Lord Rama returned to his kingdom of Ayodhya after defeating demon king Ravana, and bringing back his kidnapped wife, Sita. The entire city was lit up with diyas (lamps and candles) to commemorate his victorious return. This event signified the triumph of light over darkness, good over evil and became an annual event. Also called Deepavali; Diwali is the equivalent of Christmas for the Hindu World, just with much more color, fireworks and sweets. It is also an official holiday in Mauritius, Malaysia, Nepal, Sri Lanka, Guyana, Trinidad & Tobago, Myanmar, Surinam and Fiji. The festival’s date is on the darkest, new moon night of the Hindu Lunisolar month Kartika, varying every year as per the Gregorian calendar but is almost always in Mid Oct- Early Nov. This year, it falls on the 23rd of October. There are five days of rituals and celebrations, varying slightly depending upon what region of India one is celebrating. Marking the beginning of Diwali festivities, Dhanteras is primarily a celebration of business and wealth as the word 'Dhan' literally means wealth and 'Tera' comes from the date 13th. A lot of shopping is done on this day and metallic objects are given the highest priority. Lakshmi - the Goddess of wealth - is worshiped to provide prosperity and well being. Rangoli designs are drawn on pathways including the goddess' footprints to mark the arrival of Lakshmi. 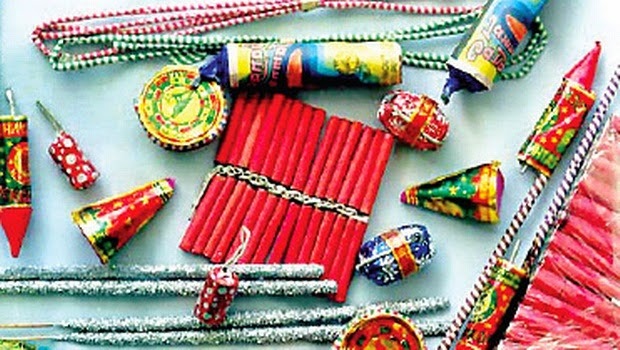 Literally meaning Small Diwali, it serves as a rehearsal to the mega event. Hindus will have long early-morning baths, put on new clothes, light multiple diyas, adorn their houses with lights and burst firecrackers to ward off festival demons. 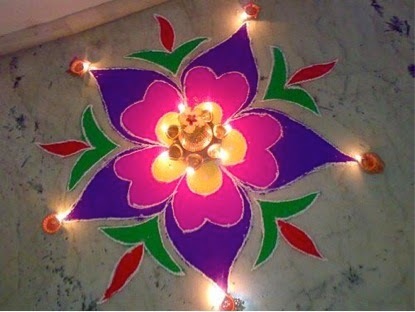 October 23rd marks the apex of Diwali celebrations – a day filled with lights, sweets, food and fun. In order to welcome Lakshmi and prevent her from returning from the doorstep, people keep the doors ajar and avoid locking their homes. Gifts are exchanged and at night people come out in the open and light crackers with their families, friends and neighbors. A popular game of cards known a Teen Patti is also played in many households. 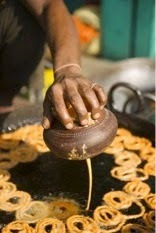 It celebrates the sister-brother loving relationship, in a spirit similar to Raksha Bandhan but with different rituals. The day ritually emphasizes the love and lifelong bond between siblings. It is a day when women and girls get together, perform a puja with prayers for the well being of their brothers, then return to a ritual of food-sharing, gift-giving and conversations. Sikhs celebrate Diwali with same passion as Hindus to commemorate the return of their sixth Guru, Guru Hargobind Singh Ji from Gwalior fort, where he was imprisoned with numerous non-Muslim Kings by Mughal emperor Jehangir. Jains celebrate Diwali with equal warmth and fervour as it is believed that it was on this day that Lord Mahavira had attained Nirvana or Moksha. Lily had just woken up as the bus came to a sudden halt, a herd of cows suddenly passed through the road, swaying their sad faces with complete indifference to all the horns. These sights seemed so strange yet fascinating to the little girl. A blue hoarding could be seen from afar, “Welcome to Jaipur. Mommy, we’re here!” Her mom looked at her and smiled. All the pink houses reminded her of the colour of her dollhouse. They reached the hotel around 10 am and quickly freshened up. The tourists who had travelled with them on the bus all gathered in the lobby. They were ready to experience the sights of this old city. 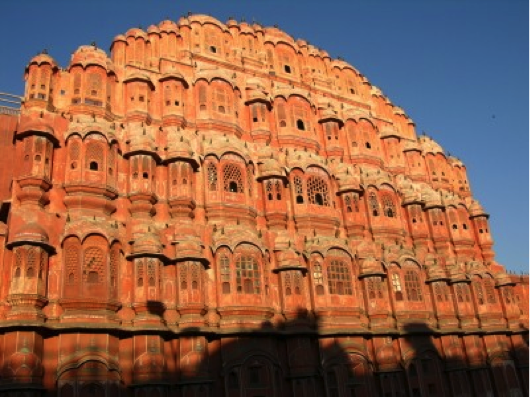 The first stop was Hawa Mahal. The most interesting thing to Lily about that was that it was shaped like a honeycomb of a beehive & the guide telling everyone that there were 953 small windows, intricately carved so that royal ladies could look at the commoners without being seen. 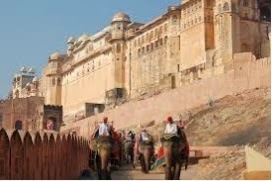 Next on their itinerary was Amer Fort, which was on the outskirts of the city, placed on small hillock and overlooking a lake. She got excited because for the first time in her life, she got to ride an elephant up the hill. When they reached, she even got to pat the elephant’s trunk when they reached the entrance. The guide told the group that the insides were built from red sandstone & marble comprising of the Diwan-e-Aam or the "Hall of Public Audience", the Diwan-e-Khas or the "Hall of Private Audience". Lily’s favourite part was the Sheesh Mahal(mirror palace) where the guide lit up a matchstick in the centre of the room and the reflection seemed like it was full of lamps. She wanted to stay in the Sukh Niwas a bit longer, where a tiny waterfall assisted by the winds that are funned through it create an artificially cool climate; a medieval air conditioner if you will. They had lunch at the restaurant ‘1911’ inside the palace complex. Lily had Daal makhni & Naan & to her mother’s surprise, Lily liked the taste and polished off the plate faster than her and even took a second helping. After an elephant ride back down, the group proceeded back into the city and soon reached Jantar Mantar. The guide told them, was the largest astronomical observatory from the Mughal period, it consisted of fourteen major geometrically built devices and structures for determining things from the local time to tracking the stars location. 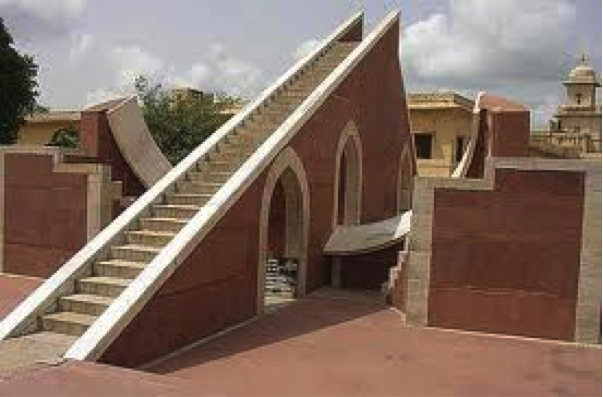 Lily climbed started climbing on one of the structures but her mom sternly told her to come back which she later found out was called ‘Laghu Samrat Yantra’, that was used for time calculation. Lily was enthralled by The ‘Hindu chhatri’, a small copula, where the top is used as a platform for announcing eclipses and the arrival of monsoons, she didn’t quite understand how it worked but couldn’t really believe how they engineered something like this in the early 18th century and neither could her mother. This article features movies and tv series where luxury, first class or vintage trains that are real or fictional have more than a small role to play. An intriguing thriller based on the classic novel by Agatha Christie. 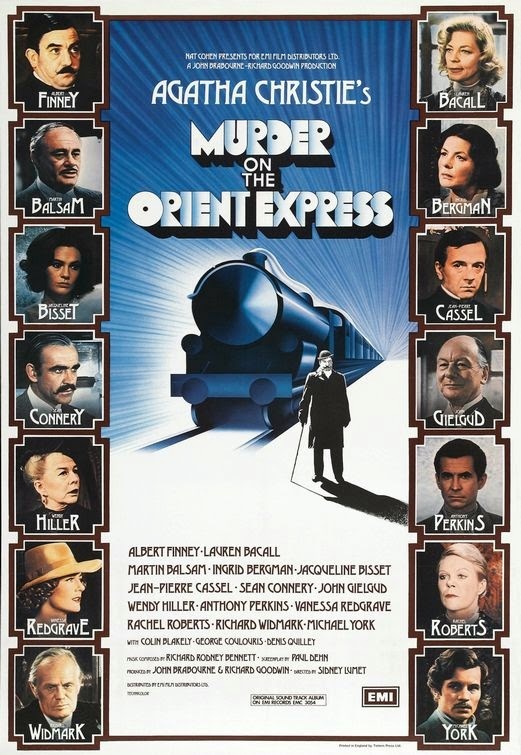 Unexpectedly returning to England from Istanbul, famed Belgian detective Hercule Poirot finds himself traveling on the Orient Express. One of the passengers, Mr. Ratchett informs Poirot that he has been receiving anonymous threats and asks Poirot to act as his bodyguard. Poirot declines but when Ratchett is found the next morning stabbed to death, it is apparent that the threats he received were very real. Poirot soon deduces that Ratchett was in fact the infamous Cassetti, believed to have been the man behind the kidnapping and murder of 3-year old Daisy Armstrong some 5 years previously. As he begins to question the dozen or so passengers on the train, he realizes that several of them have a connection to the Armstrong family and he begins to form a solution to a very complex crime. A sci-fi trilogy set in the dystopian future where nuclear war has reshaped North American into twelve districts controlled by the evil Capitol full of plastic citizens, highlighting extreme indifference towards poverty by rich people. ‘The Hunger Games’ is an annual event where children or teenagers volunteer to fight to the death in gaming arena while the entire event is televised. The winner is of course, promised riches but it mandatory for each district to select two volunteers. Katniss in a reflective mood aboard the train's lounge. All the districts are only connected on land by a single railway line. 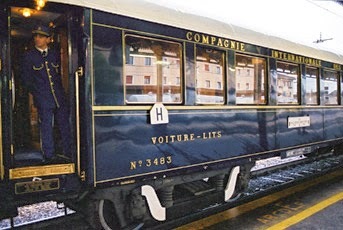 The volunteers travel on a luxury train through the districts to reach the Capitol. Jeniffer Lawrence and Josh Hutcherson are brilliant in their portrayal of the protagonists. Katniss, Haymitch and Peeta discuss strategy aboard the train's dining saloon. The next movie of the 4 part series, Mockingjay - I is out in November, 2014. A year after the accidental death of their father, three brothers, each suffering from depression, meet for a train trip across India. Francis, the eldest, has organized it. The brothers argue, sulk, resent each other, and fight. The youngest, Jack, estranged from his girlfriend, is attracted to one of the train's attendants. Peter has left his pregnant wife at home, and he buys a venomous snake. After a few days, Francis discloses their surprising and disconcerting destination. Amid foreign surroundings, can the brothers sort out their differences? 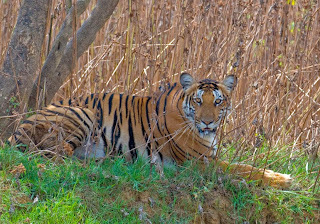 funeral, a meditation, a hilltop ritual, and the Bengal Lancer figure in the reconciliation. It's a Wes Anderson movie so expect the expected in an unexpected way. 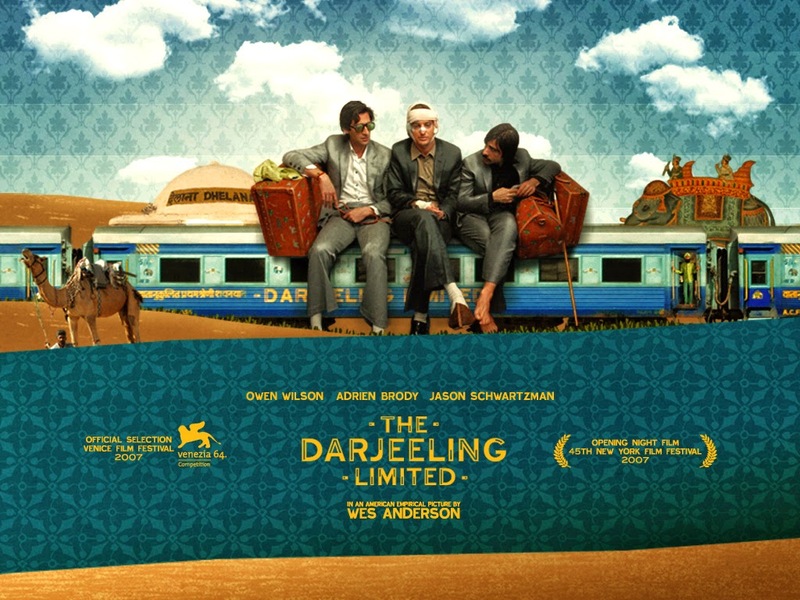 P.S The Darjeeling Limited is not considered close to a luxury train. In fact, it is similar to the concept of a toy train. Elise (Angelina Jolie) sits next to an American tourist, Frank (Johnny Depp), on a train going to Venice. She has chosen him as a decoy, making believe that he is her lover who is wanted by police. Not only will they need to evade the police, but also the mobster whose money her lover stole. 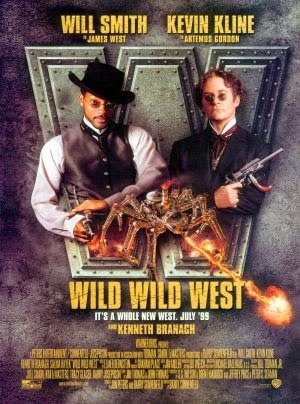 There are stunning chase sequences through Venice which make the movie worth watching despite the deep plot holes. The two travel in a specially equipped train, the Wanderer. The long running successful tv series based on the lives of a group of friends with brilliant minds, working in the field of science dealing with everyday life things, highlighting their lack of real life skills. Special mention to Dr Sheldon Cooper, for his genuine passion for trains. Amy has organised a trip for herself, Sheldon, Howard and Bernadette, staying at a bed and breakfast in the Napa valley overnight and having dinner on a vintage train. The train coupled with Valentine’s Day finally manages to string some romantic notes for Sheldon to Amy’s immense satisfaction. But there were positive signs from South East Asia, Japan & Singapore. 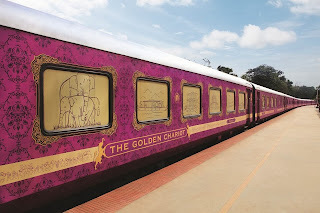 Also, a new type of traveller for India was the big spending NRI (Non Resident Indian); They wanted to rediscover India, teach their children about their heritage and culture with first-hand experience. They started enquiring about Palace on Wheels. The train’s wheels kept churning even though some cabins remained empty. After a while, by 2010, the train was running at full capacity again with US, UK & Russia again leading the numbers. 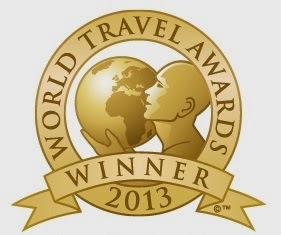 There was a sharp decline of European travellers though. One could say, South East Asians had taken their place. 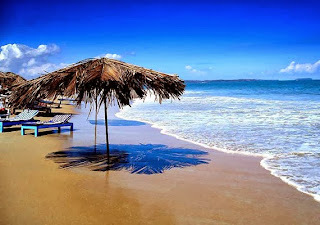 · Australia: Their economy has grown & maybe it’s the cricket but India has become a very popular destination for them. · Middle East (UAE, Saudi Arabia, Qatar): They’re probably just bored of seeing everything else & they really do define ulta luxury so Palace on Wheels is perfect for them. · China, HK : When neighbours become really rich, they do come to your house to show off. 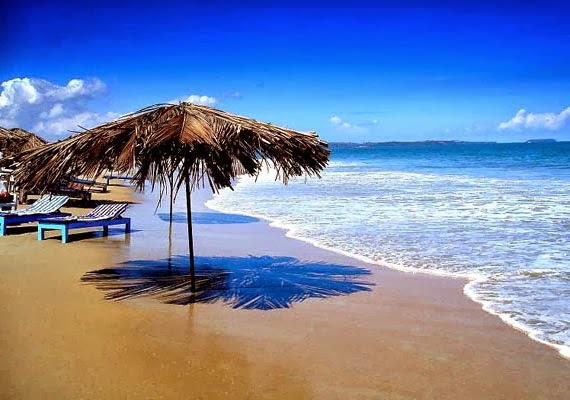 · South America, mainly Argentina : India’s an exotic destination for them & it’s always exciting to discover an entirely new culture in luxury. Also, there have been some repeat visitors to Palace on Wheels. Discover southern jewels - The temples, palaces & churches. 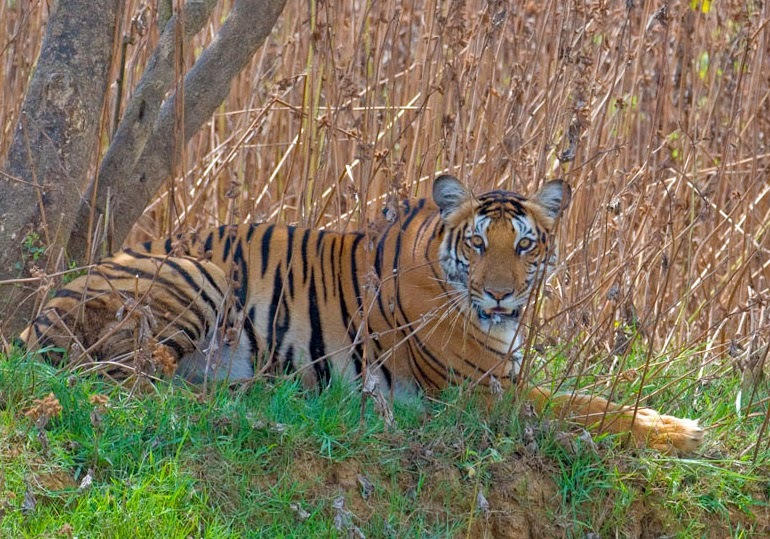 Visit an offbeat wildlife sanctuary. A journey where you get to catch up with history. Lost splendor's. Remnants from princely eras explored in fashionable style. The exclusivity of a comfortable adventure. Get in touch with your royal side. Disover the Maharaja in you.